Team SkillsToPayBills won the challenge with their solution to instate a mandatory, 6-week, online, credit-earning course to new students that is designed to equip them with the financial tools and knowledge they need to attain economic success. 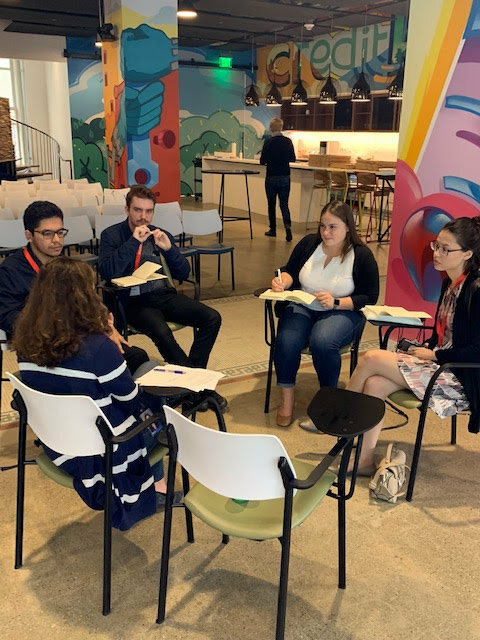 Oscar Ramirez and Faith Mamaril, members of the winning team, reflect on their experience in the Braven Design Thinking Capstone Challenge with Credit Karma in the following interview. Had you participated in a design thinking challenge or did you know about the framework before this specific Capstone Challenge? Oscar: I have never participated in anything related to design thinking. I have worked in teams on school projects which are designed to meet specific and generalized expectations. The design thinking process was different, though, because our team had to come together to create something new that focused on solving a specific problem. There were no boundaries and no guidelines similar to real-world problem-solving. Design thinking helped us chip away at the marble to sculpt and design our solution. Faith: Yes, I have participated in a design thinking challenge. I have worked on design projects in engineering where I create solutions to solve an issue. The significant difference is that my engineering projects don’t give me the framework of how to reach the solution or how to present it effectively. Having a framework for our project helped us build our project step by step and ultimately, taught us how to succeed in pitching our solution to the judges. What impact did the people in this activity have on you? Oscar: Being a commuting transfer student in a busy metropolitan university can make it difficult to make friends. Being part of Braven and the Capstone Challenge allowed me to cement my friendship with the people in my cohort. There’s something special about going through hardships and coming together to reach a goal that brings people closer together and that’s exactly what happened with my cohort. Faith: I am happy that this activity has paired me with a great Leadership Coach, Latrece Johnson. Latrece is a great mentor who inspired us to diverse, goal-oriented, and confident. I was paired with hardworking Fellows that balanced fun with work dedication. My LC and cohort are great people and I love that we are all from diverse backgrounds. The friendships that I made professionally and socially with these people have had a great impact on me. What is the biggest reflection that you’re taking away from the Capstone Challenge? Oscar: As a restaurant manager, I’ve led people and I have had people depend on me for day-to-day decisions. There were already rules and expectations and everyone just followed them. At the Capstone Challenge, there weren’t any group norms and it was up to us to create the environment we want to work in. This experience opened my eyes because it showed me that nothing is really set in stone — we don’t have to stick to norms and expectations if they don’t work out. We all have visions on how things could be improved but most don’t act on it because of fear. What I learned is that relationships, people, norms, and goals are all that we make and taking steps to shape that reality is what will make us reach our own versions of success. Faith: My biggest reflection from the Capstone Challenge is that a team is as only great as the people and the effort that you put into the project. Outside of our scheduled class, our group worked on the weekends and thoroughly did research on our own project components. Creating a project plan, brainstorming our visions, communicating, and meeting our deadlines played a huge impact on how our team reached success. How did you or your perceptions change after of the experience? Oscar: After this experience, I learned that I am able to lead people through the process of taking high-level ideas and turn them into a tangible presentation. It’s an experience I would never have experienced even if I was an intern somewhere else. This experience taught me to not doubt myself and to not be afraid to take charge. After leading my team to victory, I saw myself as a capable team leader. Faith: Being that it is my senior year, this experience has confirmed the techniques that I have learned throughout my university years that will help me succeed. What skills did you gain and how will you apply what you learned in the future? Oscar: I learned about team delegation and how to ensure we meet milestones to reach our goals. I learned about the natural flow of team relationships and how to communicate effectively so we can move forward from team disagreements and staying productive. Because this was a financial topic, I learned a lot about my personal credit and how to invest. I’m currently building credit and making sizable gains in the stock market. Faith: We had modules entitled Empathize, Define, Ideate & Prototype, and Present Effectively. These modules taught me the skills that are required to create an innovative idea and communicate it to others. These skills are key to my future because they will come in hand with the engineering projects in my future job. I also learned how to network and enhance my LinkedIn profile. How did it feel to win the Capstone Challenge? Oscar: It was completely unexpected. We saw the other teams present and were really impressed by their solutions. By the end of the presentations, we didn’t expect to win the challenge and appreciated the journey. I believe that the bond we created as a team and how involved every one of us was with each part of the project led us to win. Faith: I was excited when our team name was called as the winner of our classified section. As much as I was proud of the work our team put in, winning the Capstone Challenge made my effort feel worthwhile. Being recognized for hard work feels great, keeps me motivated, and gives me the confidence that I am talented at what I do. 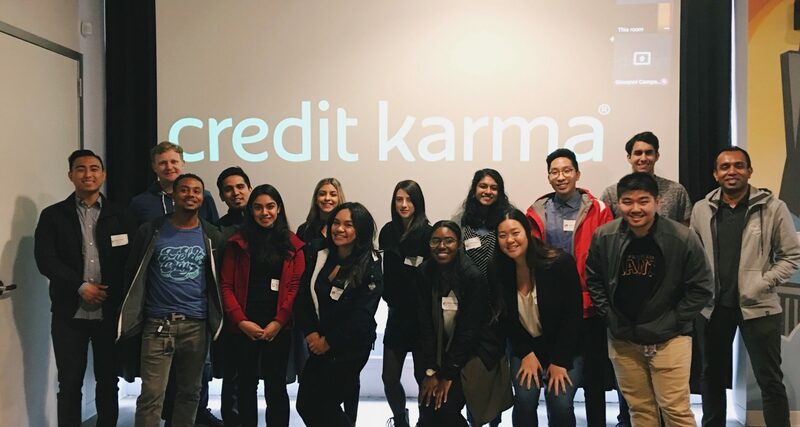 What did you learn from your visit at Credit Karma as a winning team on January 14th? Oscar: The experience was great. Giovanni was very accommodating and professional. We toured around their office in San Francisco, which was much larger than it appeared! 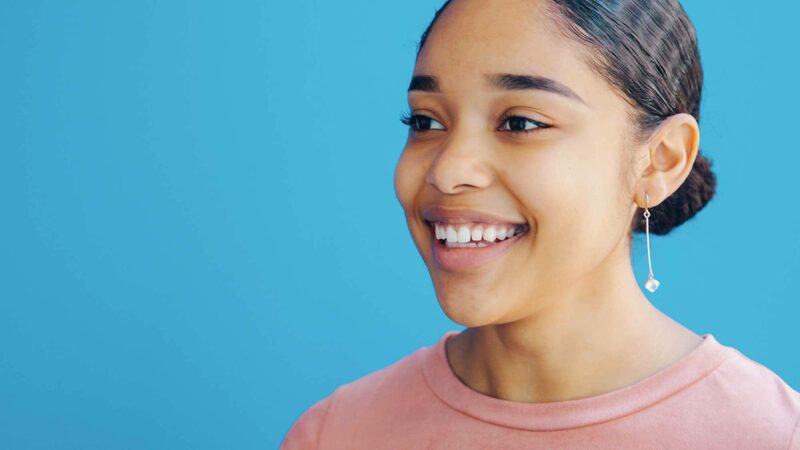 The Karmanauts (Credit Karma employees) were genuinely engaged and excited about the work they did, which always revolved around answering the important question: How can we help people become more comfortable with their finances? The atmosphere and their mission make it a place I could see myself working at one day. Faith: Visiting Credit Karma was a great experience. 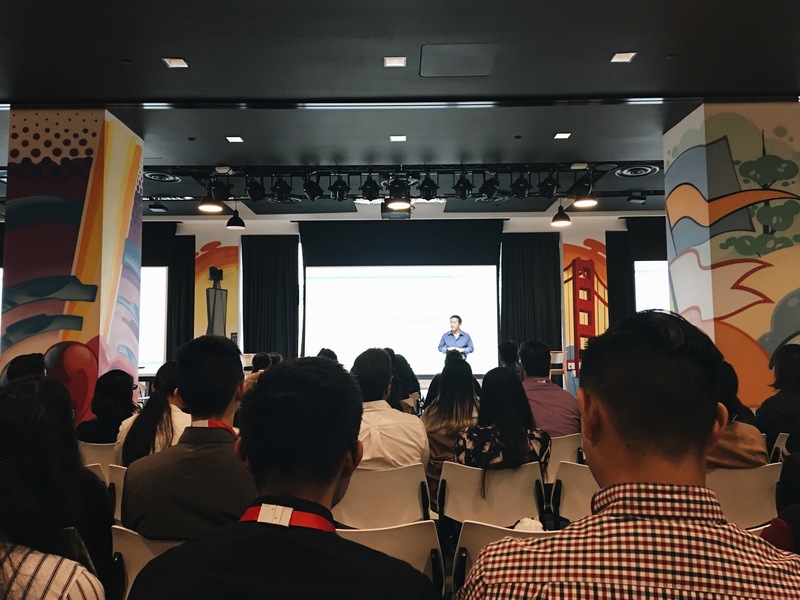 I loved touring Credit Karma and seeing their company culture firsthand. It was great to see how their company invests into the wellness of their employees. From their design interior, quirky conference room names, kitchen amenities, and ergonomic equipment — it was such a lively environment to be in. I enjoyed the discussion on diversity and found it inspiring to hear how the speaker works to be treated equally in the workplace.